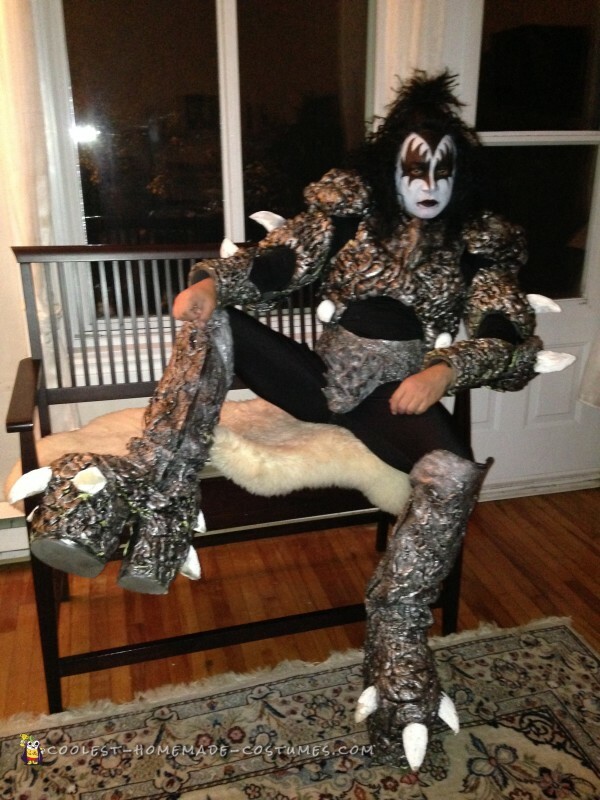 This is Gene’s Dynasty era costume. It was really simple to do. The torso was from modified hockey pads. The chest was cut out to form an arch. The arms were shaped from foam yoga mats. 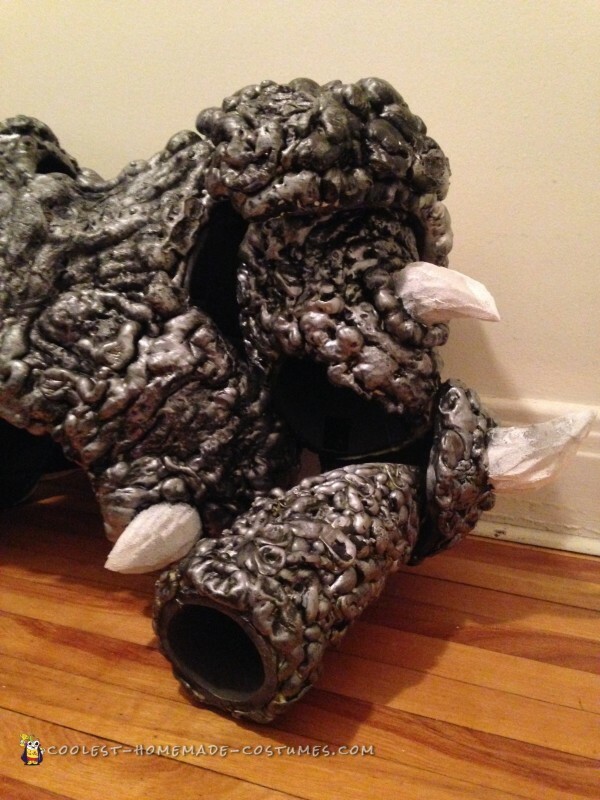 The horns and claws were carved using scissors from upholstery foam. To make the plaform boots, I took a pair of old winter boots, traced the soles on cork panels, then glued together to the soles of the boot. I thought about using wood, but this would mean I would have to use a saw and it would probably make the boots heavy and very difficult to walk. Once the foam horns and claws were glued into place with a glue gun, I then covered everything with “Great Stuff” expansion foam. I used the type for doors and windows because it stays flexible after it dries and does not expand as much and it dries over night. The painting was easy. First I painted everything with black acrylic paint, making sure to cover up all the cracks and crevices. Once the black was dry, I then dry brushed over bumps and lumps with silver acrylic paint and painted over the horns and claws with white acrylic paint. I wore this to a Halloween party at a local bar/club and you can imagine the reaction. As soon as walked through the door everybody wanted their photo taken with me. 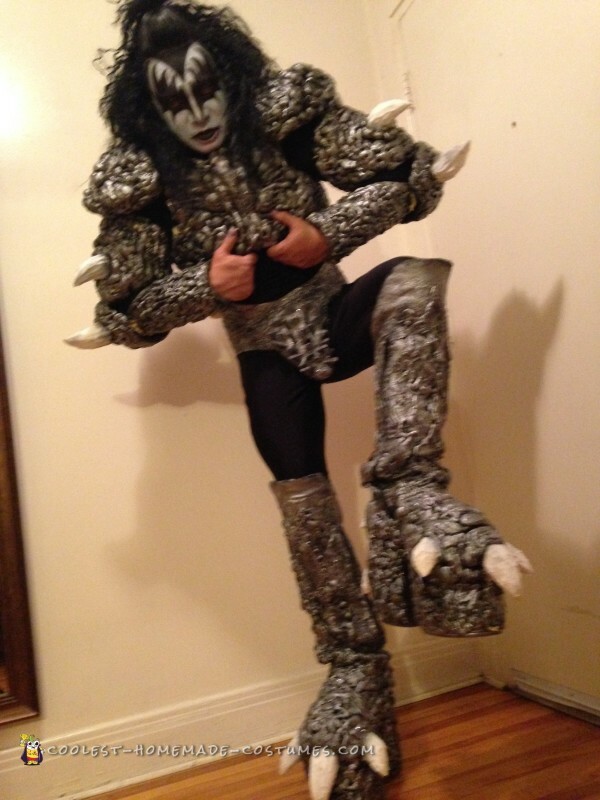 I had my 15 minuted of fame that night and even won first prize in the costume contest.